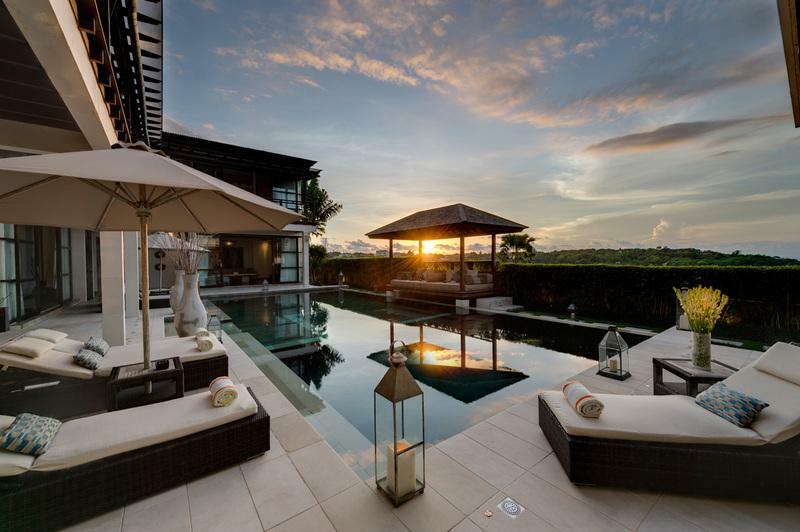 Perched high atop a hillside on Bali’s south coast, with sweeping views over the tranquil waters of Jimbaran Bay, sits the fabulous, four-bedroom, family friendly Villa Jamalu. 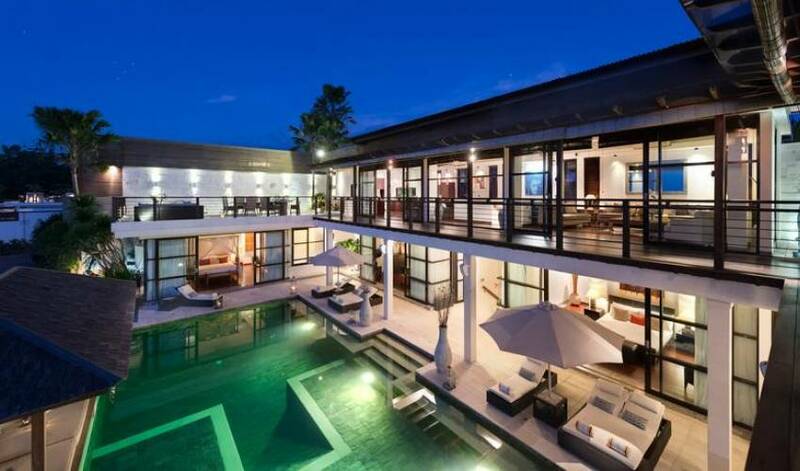 Every aspect of this stunning villa, from its clean lines to its stylish interiors, promises guests the ultimate in luxury and entertainment. 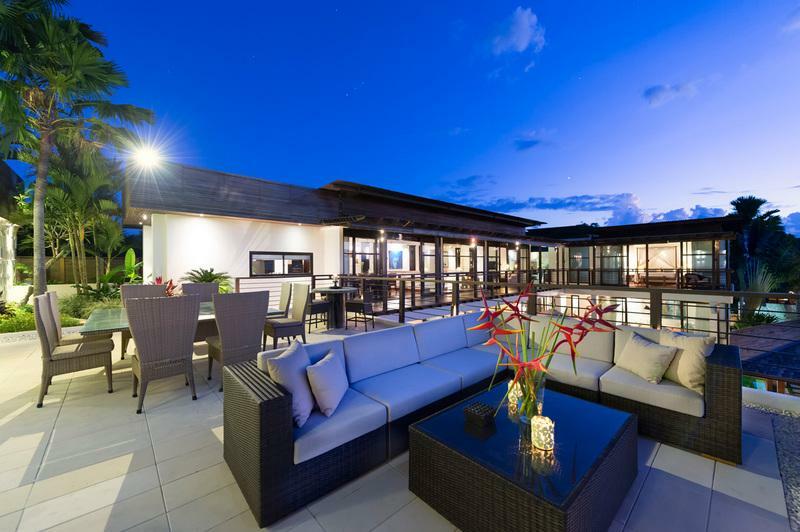 Three storeys of outstanding accommodation provide endless opportunities for fun and relaxation: workout in the well-equipped gym; shoot pool or battle it out on the PlayStation; spoil yourself in the spa room; meditate in the yoga space or refresh in the 15-metre pool. And while you rest and rejuvenate, a team of friendly and capable staff, including a private chef and villa manager, is on hand to make sure you want for nothing. 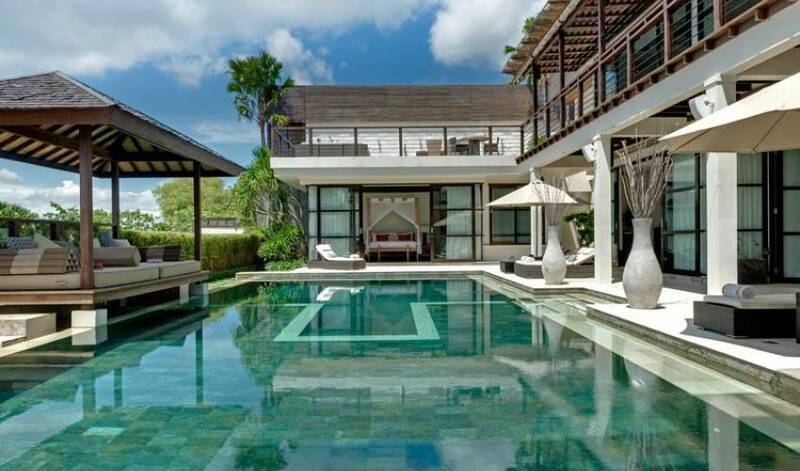 Just a stone's throw from some of Bali's finest beaches, a stay here will exceed all your holiday dreams. 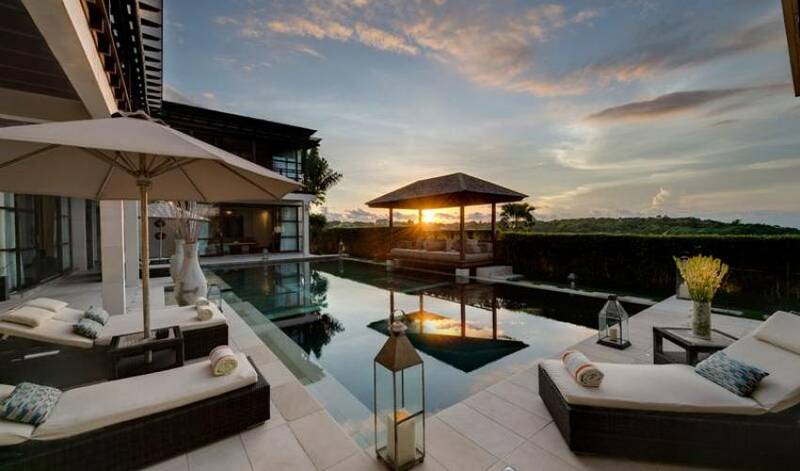 Set within the secure and exclusive Temple Hill estate, overlooking Jimbaran Bay, the villa is equipped with everything required for a truly memorable family holiday. 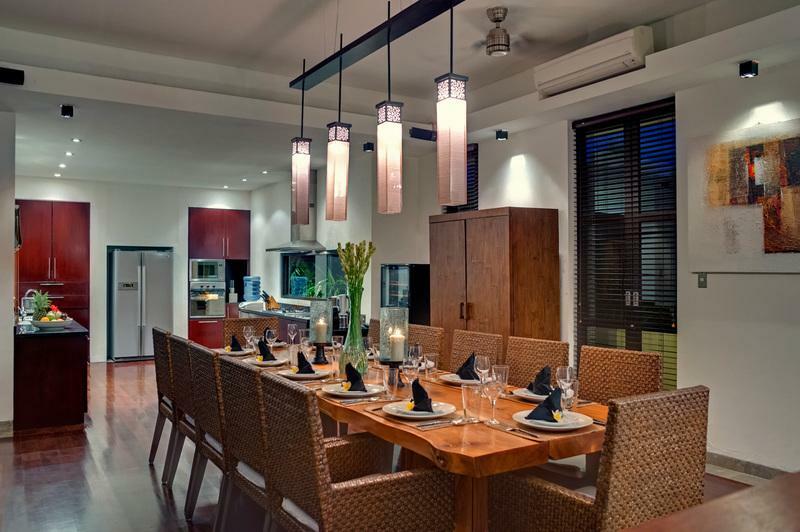 Even its name – a combination of the names of the owners’ three children – reflects the consideration that went into creating this fabulously well-appointed family retreat. Children will adore the playroom, chock-full of toys, while adult and teenage guests will love the air-conditioned games room and entertainment den with its cornucopia of delights, including a pool table, 50-inch flat-screen television and PlayStation 3. 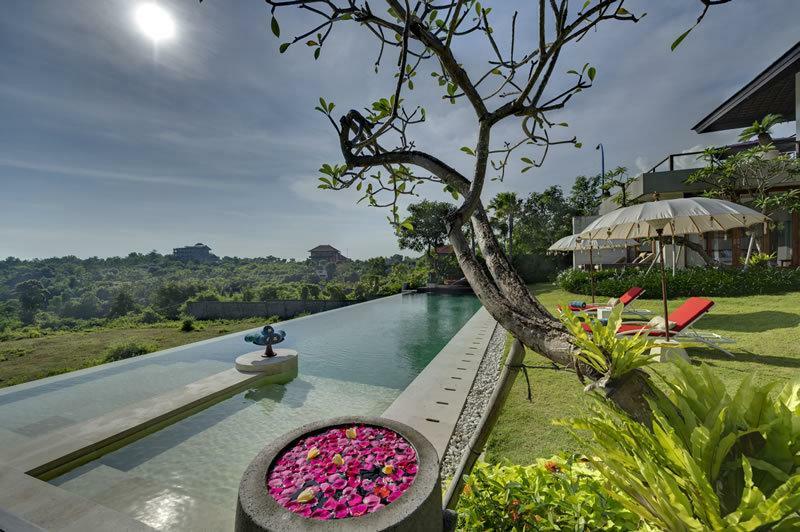 A workout in the well-equipped gym or some zen time in the dedicated yoga space could be just what the doctor ordered, or perhaps a tension-relieving Balinese massage in the private spa treatment room? 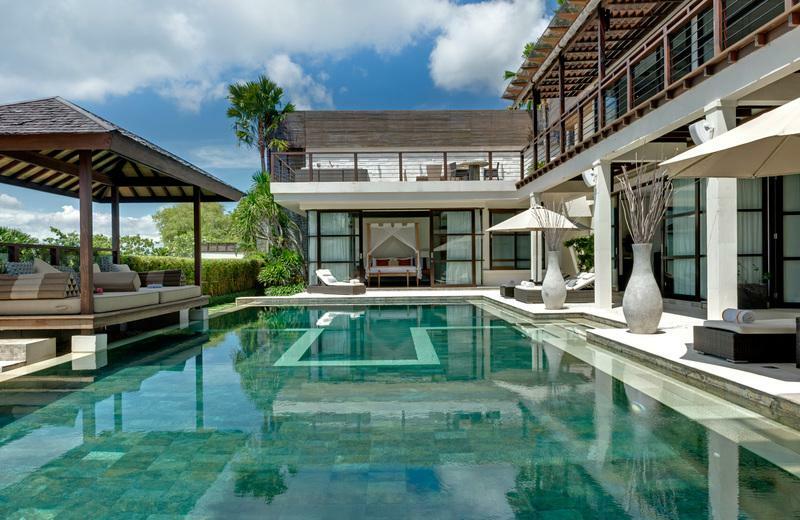 A state-of-the-art Bose sound system plays music throughout the villa, providing the perfect holiday playlist. Listen to some chill-out tunes whilst luxuriating on loungers shaded by capacious umbrellas or relax in the balé pavilion that hovers above the sparkling 15-metre swimming pool. Parents with youngsters can rest easy as the villa is equipped with a pool fence that can be erected to ensure the safety of little ones. 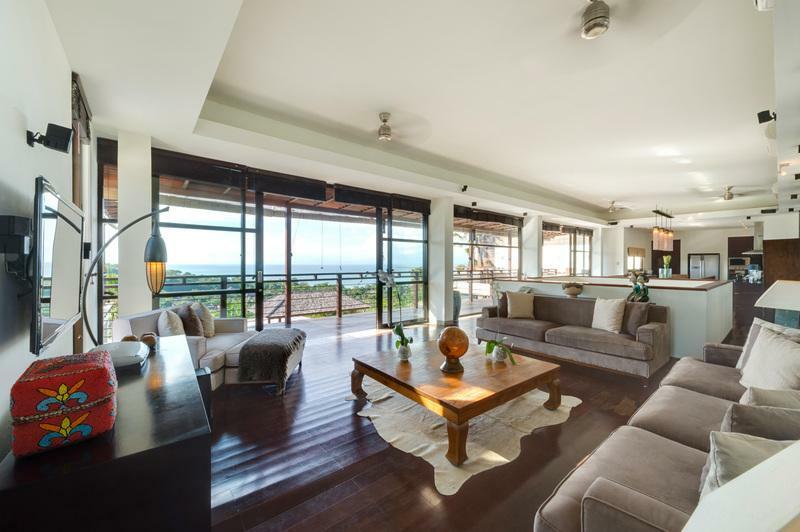 And should a break from the tropical heat be desired, guests can slip indoors and savour the air-conditioned comfort of one of the many spacious living areas. Alfresco dining on the top terrace at Villa Jamalu is an absolute treat: the villa’s private gourmet chef will prepare sumptuous meals which can be enjoyed at the twelve-seater dining table, or provide canapés to graze upon whilst sipping cocktails and lounging on the all-weather sofas as the sun sets magically over the ocean with Bali’s sacred Mount Batu Karu providing a mystical backdrop. The villa’s three spacious storeys offer guests a profusion of settings to suit every mood: a calm corner in which to relax and unwind, a place to play, exercise, be entertained, or somewhere special to gather socially. 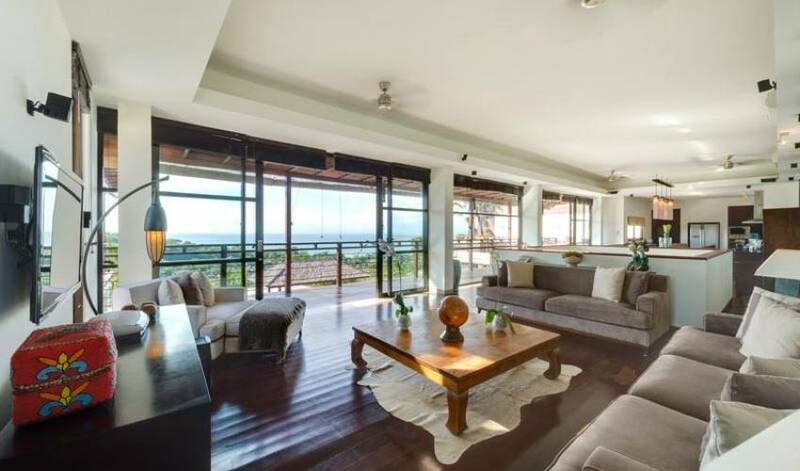 The top floor of Villa Jamalu boasts truly panoramic views over the Indian Ocean. 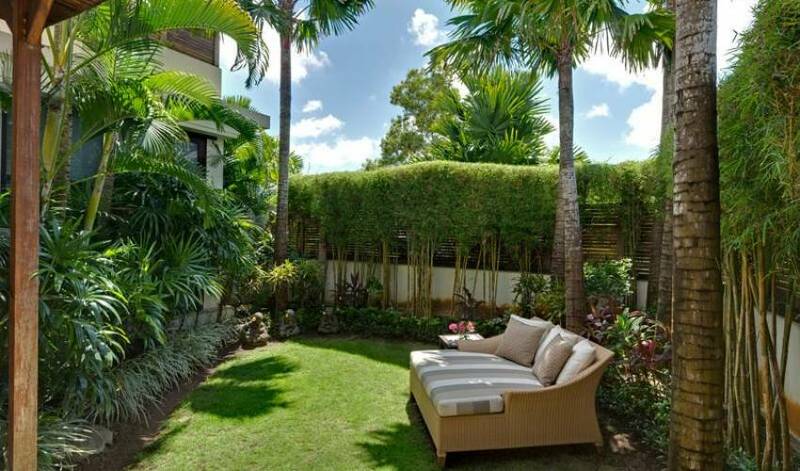 This area acts as the main living area and includes a spacious open-plan kitchen, indoor and outdoor dining and lounge areas, and one of the master bedroom suites. 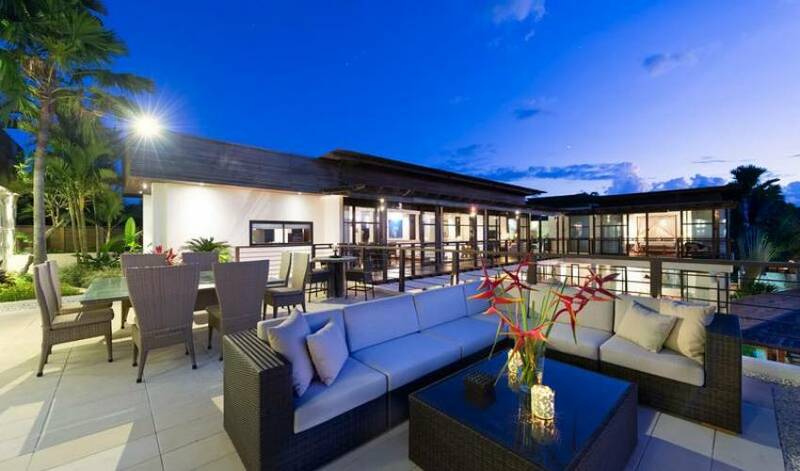 The focal point of the ground floor is the stunning 15-metre saltwater swimming pool and sunset Bale, which is bordered by three bedrooms and a light, airy lounge and television room. The well-equipped playroom/study is also on this floor. The basement houses an air-conditioned games and entertainment lounge, spa treatment room, yoga space and fabulously equipped gym. The two junior suites, located on the ground floor, boast large glass doors which open directly to the pool deck. These light and spacious air-conditioned rooms are beautifully appointed, featuring king-size beds, iPod docking stations and marble ensuite bathrooms with rain showers. Four trundle beds provide additional sleeping space for kids (extra charge applies). 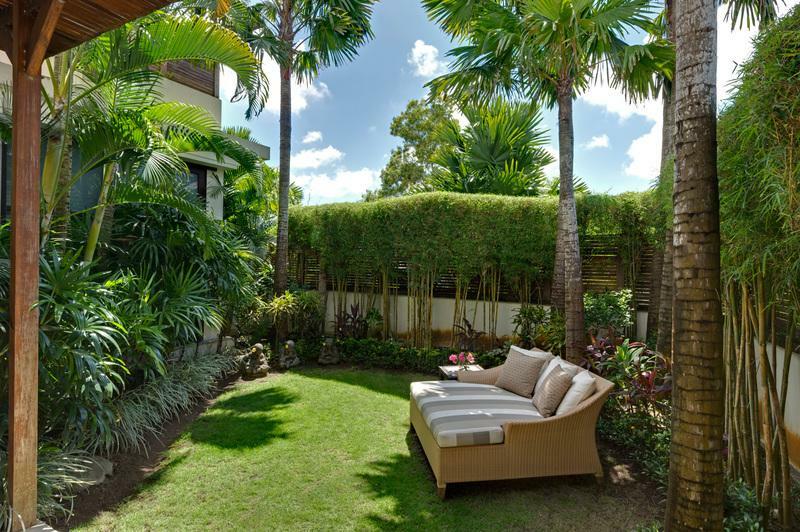 The villa features two master suites: the first, located on the top floor, enjoys panoramic ocean views while the second, positioned on the ground floor, looks out onto the sparkling saltwater swimming pool. Both of these stylish air-conditioned suites feature luxuriously canopied king-size beds, iPod docking stations, televisions and DVD players. Both opulent marble ensuites feature rain showers, while the lower suite has the addition of a tub and the upper suite a jacuzzi tab. 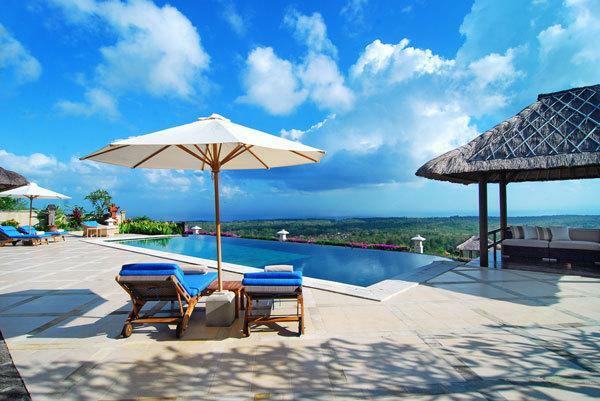 Located on the slopes of the secure Temple Hill estate, the villa is a few minutes’ walk (the staff will happily show you the shortcut) from the tranquil waters and white sands of Jimbaran Bay, where the shallow sea is ideal for swimming and paddling, and the perfect beach for families with small children. Once a quaint fishing village, Jimbaran is now home to some of Bali’s finest five star resorts such as the Four Seasons, Ayana and Karma. It still retains much of its rustic charm, however, and its bustling fish market supplies the whole island. Jimbaran Bay is well known for its legendary beachside warungs, which serve the freshest local seafood. 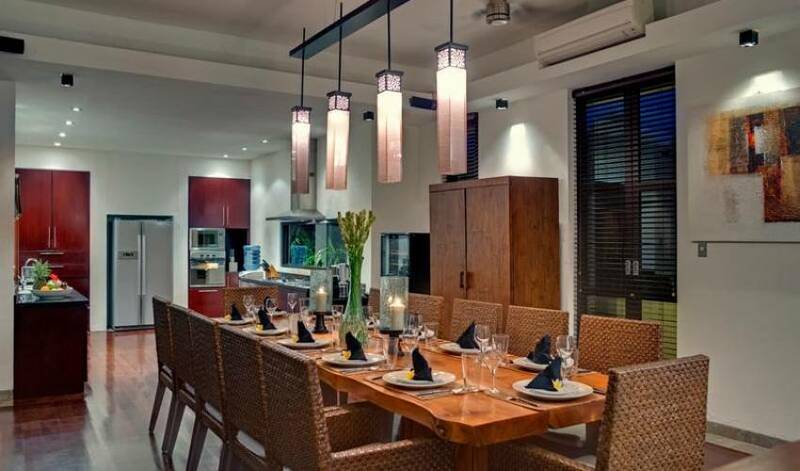 The nearby Menega Café comes highly recommended by Villa Jamalu’s staff. Padang Padang, Bingin and Dreamland, some of the island’s most famous surf breaks, are twenty-minutes’ drive to the south and the New Kuta Golf Course is just fifteen minutes away by car.